Self Portrait Sitting on a World. 2008. oil on canvas. 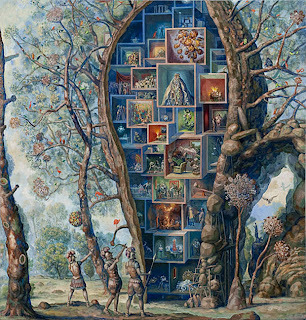 Julie Heffernan is a painter who lives in New York. She was born in 1956, received a BFA from the University of California, and an MFA in painting from the Yale School of Art. Heffernan teaches fine arts at the Montclair State University as an Associate Professor.Her work has been included in many national and international collections. 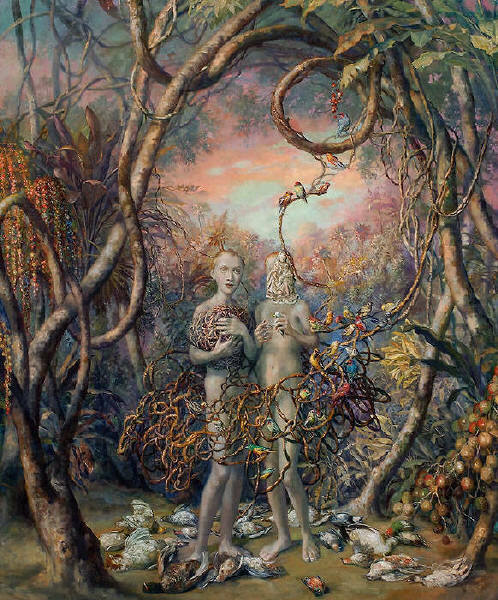 Julie Heffernan's style of painting is a kind of hybrid of still life, allegorical storytelling, and portraiture. Her images usually include one or two main figures that have a myriad of imagery that appears to be fruit, animals or kind of chandelier/glowing-bubbly-type-things surrounding them and often a strange idea of landscape surrounding them. The objects, animals and people appear realistic, which makes the collection and composition of them seem so fantastic and interesting. 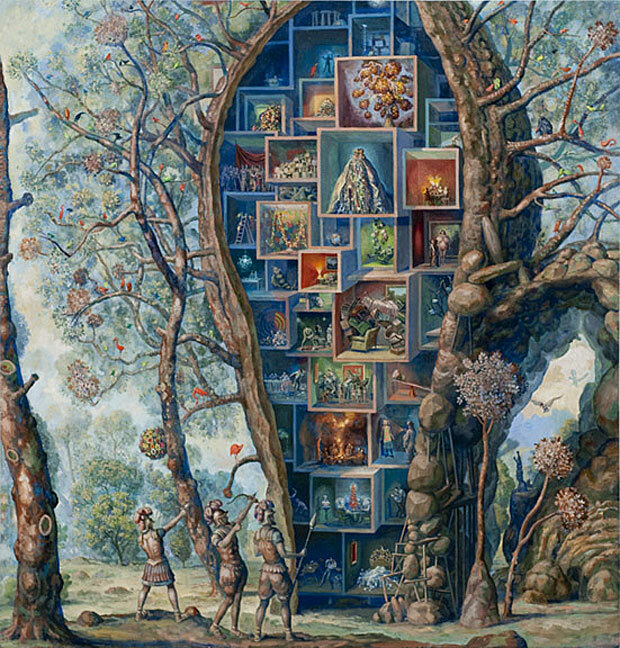 The other interesting thing about Julie Heffernan's work is that they are all presented as self portraits. However, none of Heffernan's paintings particularly look like the artist and instead the hold a metaphorical and psychological meaning in the study of the figures. 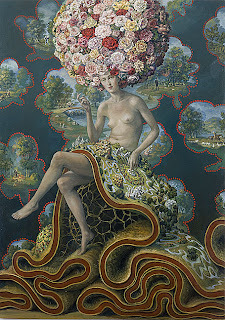 Heffernan draws inspiration from her dreams, Baroque art, and observation. Self Portrait in a Coral Bed. 2003. oil on canvas. @VMFA. Photo taken by me. I saw one of her works during my trip to the VMFA. The painting, entitled Self Portrait in a Coral Bed, has a female figure standing in the water with trees behind her and what appears to be fire rising from her head. The fiery crown and elemental water make the figure appear almost as divine. The small beads that fall from her hands seem to hold a special meaning. Self Portrait as Tree House. 2010. oil on canvas. 68 x 65 in. 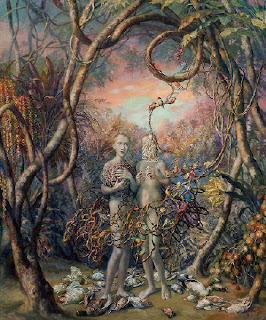 The plaque for this piece had a quote by Julie Heffernan which gave a better understanding of the purpose of her painting. "I want the kind of psychological space that feels seductive or Baroque in the sense of a space that you enter into. A slippery encompassing space, that's what I've been after."